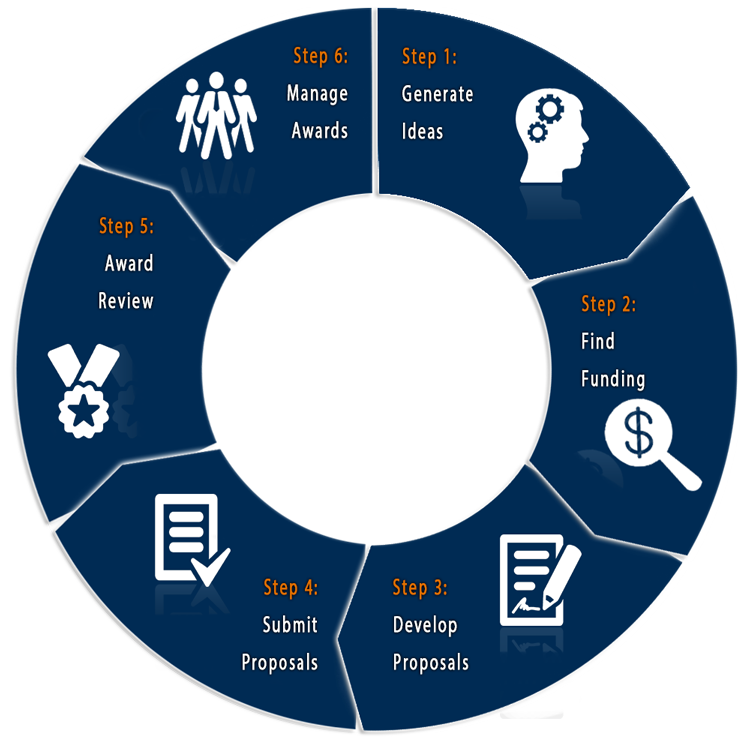 The Grant Life Cycle provides a brief overview of the research proposal process at Cal State Fullerton, from idea generation to proposal management. This is the starting point for understanding the policies and procedures of the Research Enterprise. This site is maintained by Research and Sponsored Projects Office. To report problems or comments with this site, please contact ORSP@fullerton.edu.